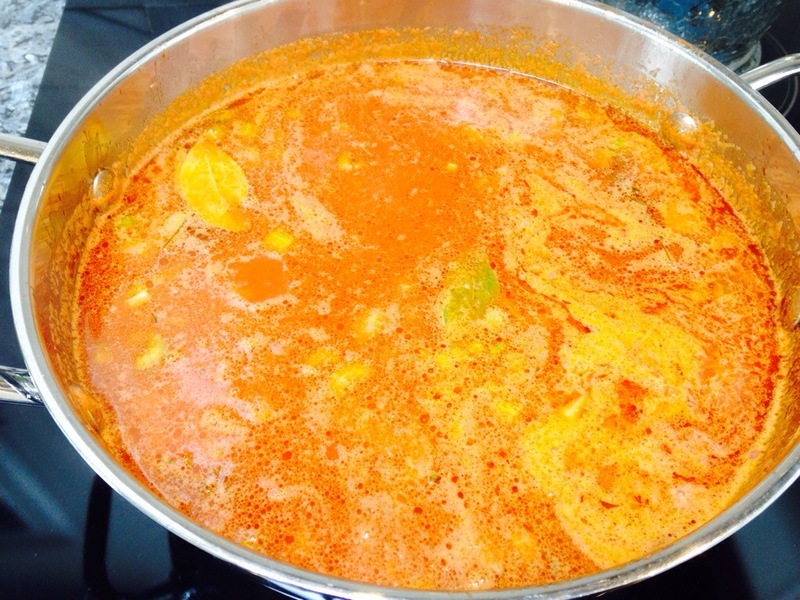 Bring about 3 Quarts of water in a large stock pot to a boil on high heat. In the meantime, wash potatoes in cool water then let sit in a fresh cool water bath for ten minutes while the water reaches rolling boil. 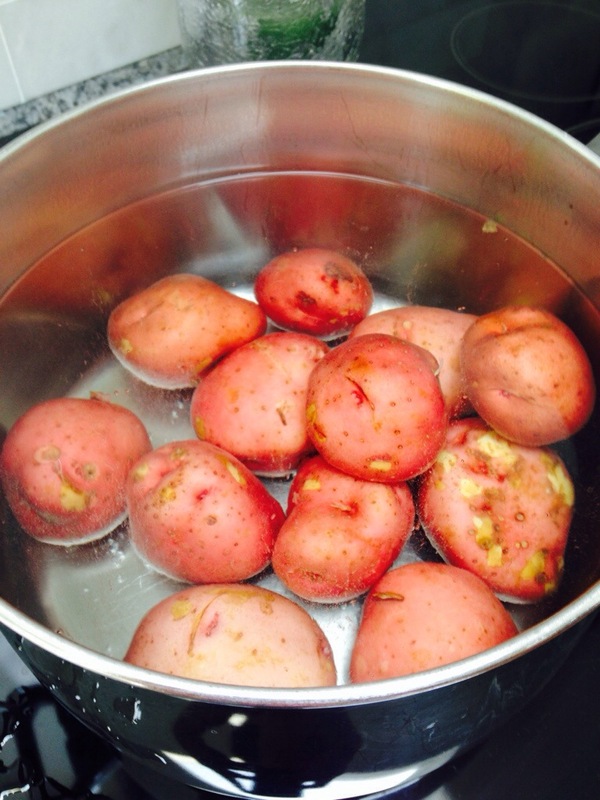 Add a pinch of salt to the water then place potatoes gently. 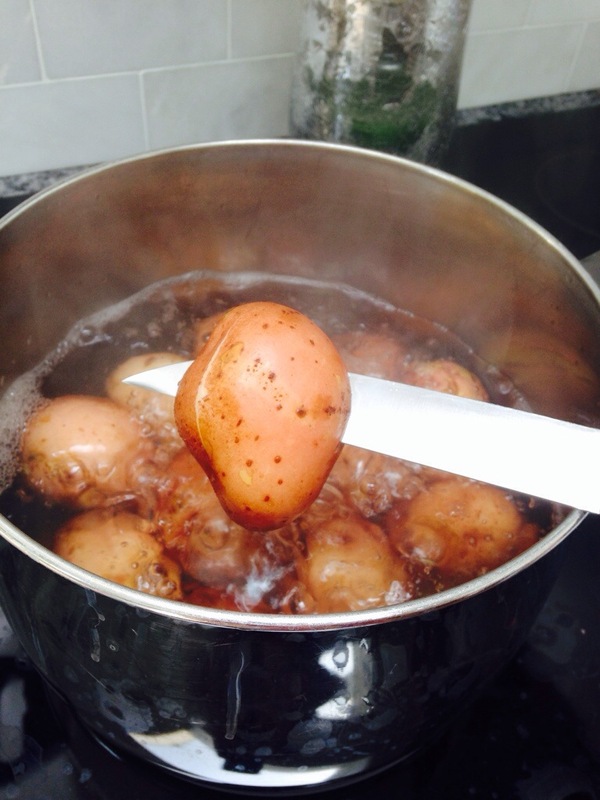 Let boil on high for 35 minutes or until the potatoes are tender enough to pierce with a knife throughout. Let the potatoes cool to the touch. While they cool, wash and chop the parsley and chop the garlic. 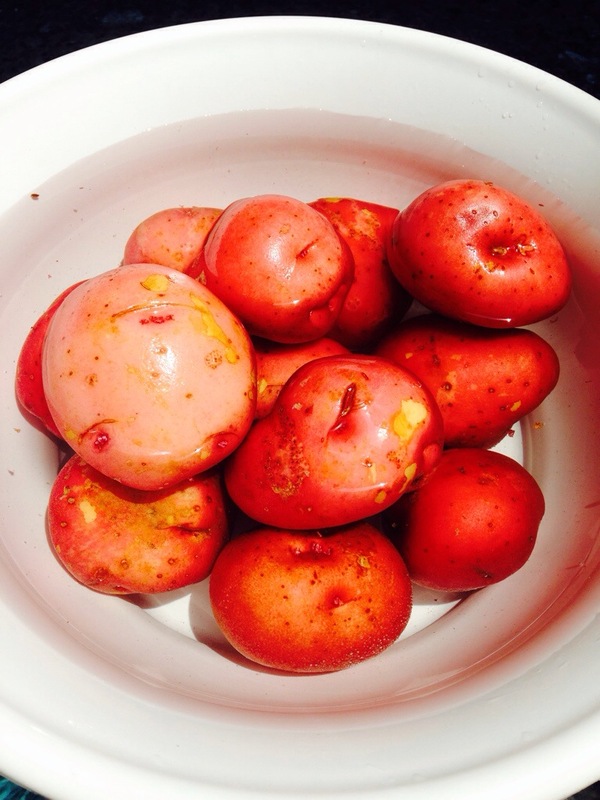 Once the potatoes are cool enough, peel as much of the skin off as possible. My peeling trick is to wet my hands in cold water. It helps pull off the skin much easier. Washing my hands off between each or every other potato, as the starch sticks to the hands. 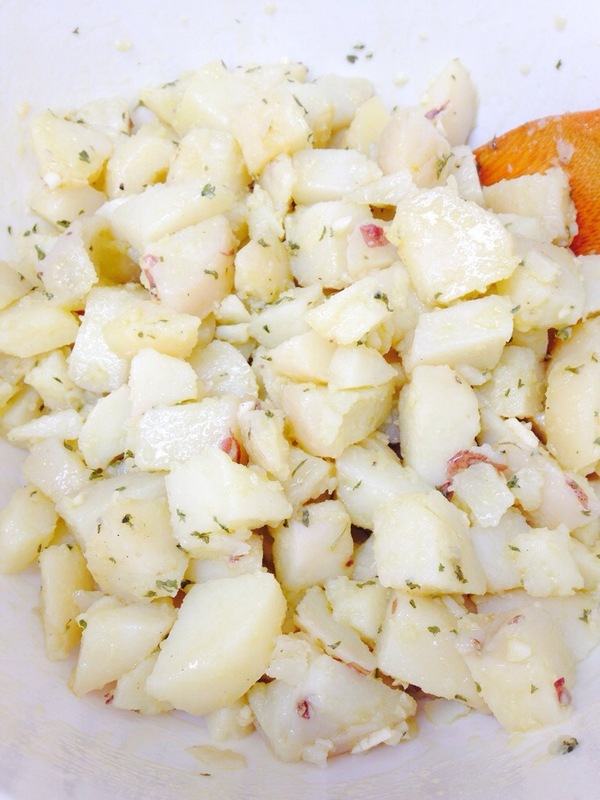 In a large mixing bowl, add rustic cubed potatoes (not perfect), the parsley, garlic, salt, pepper and drizzle with the olive oil. Mix well to combine the flavors. First, rinse the peas thoroughly in a large bowl. 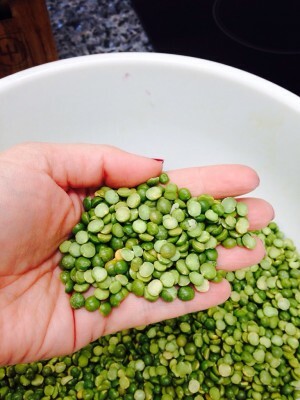 Check for pea husks, stones or other natural items that may be in the package. 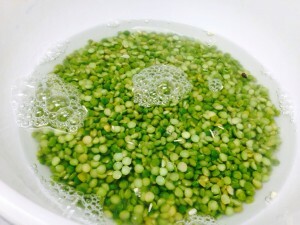 Then soak washed peas for 1 hour in same bowl with cool water. The water should be at least an inch or more above the peas. This process will soften the peas and also bring other husks or items to the top of the water to remove. Rinse well and drain the peas again, set aside. In a large stock pot heat up olive oil over medium heat. Add in garlic and onions stir and let saute till translucent. Then add in the celery and carrots. Stir together and then add in tomatoes. Stir completely then add in broth and water. Bring to a boil, then reduce heat, cover and simmer until peas have fallen apart, 1 to 2 hours. I like to serve along side a nice piece of crunchy French bread. Yum! There are many parts to this dish, so keeping track of when things are done is key. First start by making the sauce. 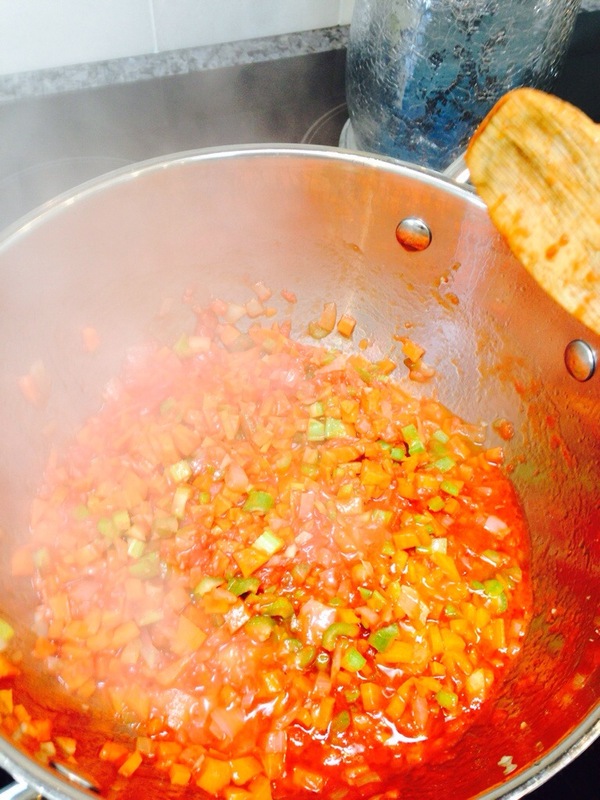 Once the sauce is a third way cooked, start cooking the pasta and work on the eggplant. For the Eggplant. Preheat oven to 425 degrees F.
Wash the eggplant then cut lengthwise. Place on a cookie sheet covered in parchment paper that is drizzled with 1 tablespoon of oil ( via two sheets= 2 tbsp ). Let roast in the oven for 20 minutes, until fully cooked and browned around the edges. Set aside one slice of eggplant cut into strips for the top of the pasta. Cut the rest of the eggplant into small pieces then fold into the sauce. 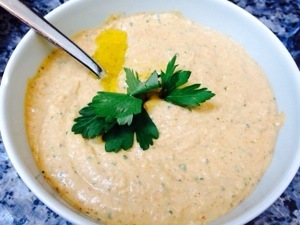 In a large mixing bowl add the ricotta, 3/4 cup of Romano cheese, parsley, cinnamon, nutmeg and salt and pepper. Incorporate fully. In a baking pan, 13×9, ladle a spoonful of sauce on the bottom and tilt till covered. Add in half the pasta, and ladle sauce over top, slightly mixing in the pan. Then top with remaining pasta. A tablespoon at a time, dollop the ricotta mixture and place onto the pasta, gently spreading and weighing it into the pasta with a spoon till it almost is to the bottom of the pan. Continue till a few tablespoons are used. On top of the ricotta, sprinkle about a quarter cup of Romano on top, then cover with more sauce. When the top is covered with sauce, dollop more ricotta in spots spreading it through, Then place the mozzarella on top as well, then cover with remaining Romano. Add the eggplant strips. Place in top rack of oven then let bake for 35 minutes until the top is crunchy and the sauce is boiling around the edges. Let stand for 10 minutes after removing it from the oven before serving. Snip the top of garlic, then drizzle with olive oil and sprinkle with salt. Cover with foil and bake 1 hour or until golden brown (soft when pierced with a knife). To use, remove from the cloves. 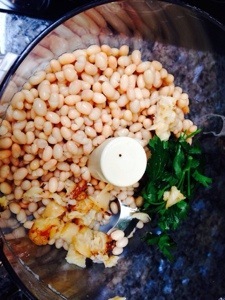 Place the beans, roasted garlic, paprika and parsley into a food processor. Pulse twice to mix the ingredients quickly then turn machine to ON. 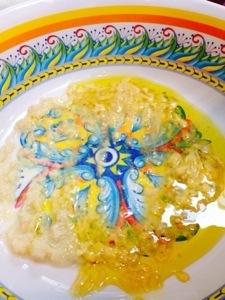 Start adding in reserved liquid slowly followed by the olive oil and the lemon juice. Mix until the mixture is smooth. Then add in salt and pepper to taste. I like to serve with a bit of minced parsley on top and a side of warmed pita chips for dipping. One of my favorite appetizer dishes from Brasserie Jo in Boston has to be the carrots they kindly serve as you are seated. They are tangy, spicy and crunchy…the trifecta of yum, and definitely unforgettable for their unconventional taste. Especially, along side their crunchy French bread. Since we love these appetizers a whole bunch, we wanted to be able to make them and have them anytime we wanted. So, here we gave a crack at making the dish after some research online. They came out great, and our kids thought they came out better than at the restaurant! Yes, better! This may be our new app to make for our family get togethers, like our annual Easter egg hunt in a few. Prepare a cold water bath in a large bowl. 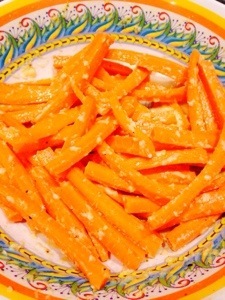 Cut carrots into sticks lengthwise; now, the sticks don’t have to be identical as that adds to the charm and rustic feel of this app. 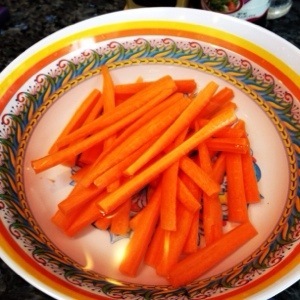 Then submerge the cut carrots in the water bath. Let them soak for roughly an hour. 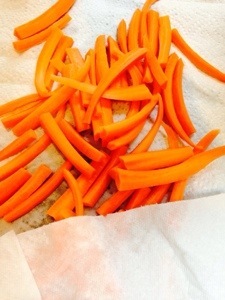 Drain the carrots then dry very well with a paper towel. In a bowl mix all the ingredients together; coating the carrots well. Cover the bowl and set aside to marinate for two hours. Hope you are all doing fantastic. This weekend flew! It was big time busy, but great overall. I’m ending it with making one of my all time favorite soups before getting cozy on the couch to catch tonight’s episode of The Walking Dead (I may be an addict, y’all). Lentil soup is a wholesome and satisfying soup that is real simple to make if you haven’t ever tried before. No matter if it is made the vegetarian way, like I am posting here, or not. *If you prefer to make it non vegetarian, before placing the vegetables in the stock pot add in either a few cuts of bacon or pancetta. Cook it till browned, then follow the recipe along per instruction after the olive oil in line one. In a large stockpot, over medium heat, heat up the olive oil. Once hot, add the garlic, bay leaves, onion, carrot, celery, and cook (sweat) until the onions are translucent. Add the lentils. Stir to combine the flavors. Then add water and bring to a rolling boil. Once boiling, reduce heat to low. Cover and allow to simmer until the lentils are tender- about 35 to 40 minutes. Carrots, celery, onion, garlic and bay leaves in stock pot. add 8 cups tepid water. If needed, add additional water to the soup until the lentils are tender. Perfect snowy day breakfast..pancakes with caramel apples! 2 apples (honeycrisp if you have them!) washed, peeled and cut into large cubes. 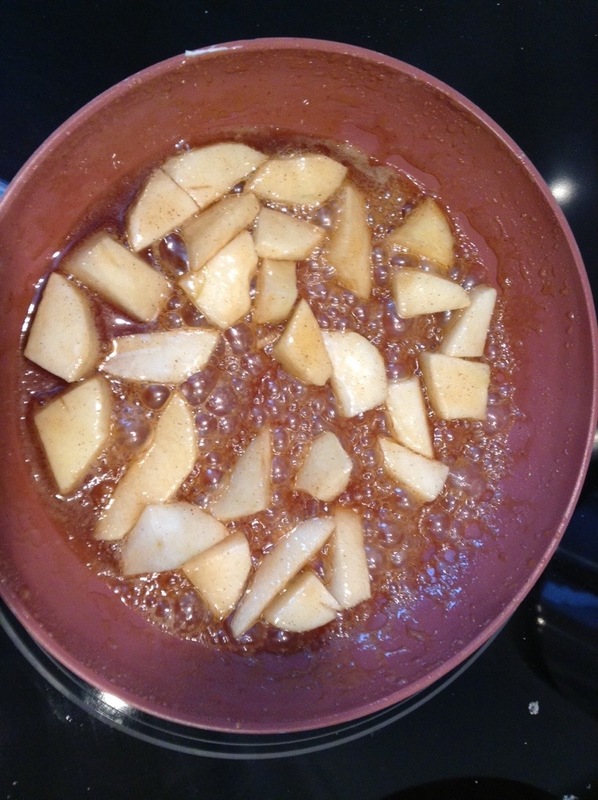 The butter and sugar will start to boil, so that is when you turn the heat to low and add in the apples. Fold the apples in, add salt, and keep folding. Do not stir or flip the caramel around..for the caramel is SUPER hot and can burn you pretty badly. Let stew on low for 30 minutes, folding occassionally. And done! Served on top or on the side of pancakes ..yum! Breakfast of Champs! 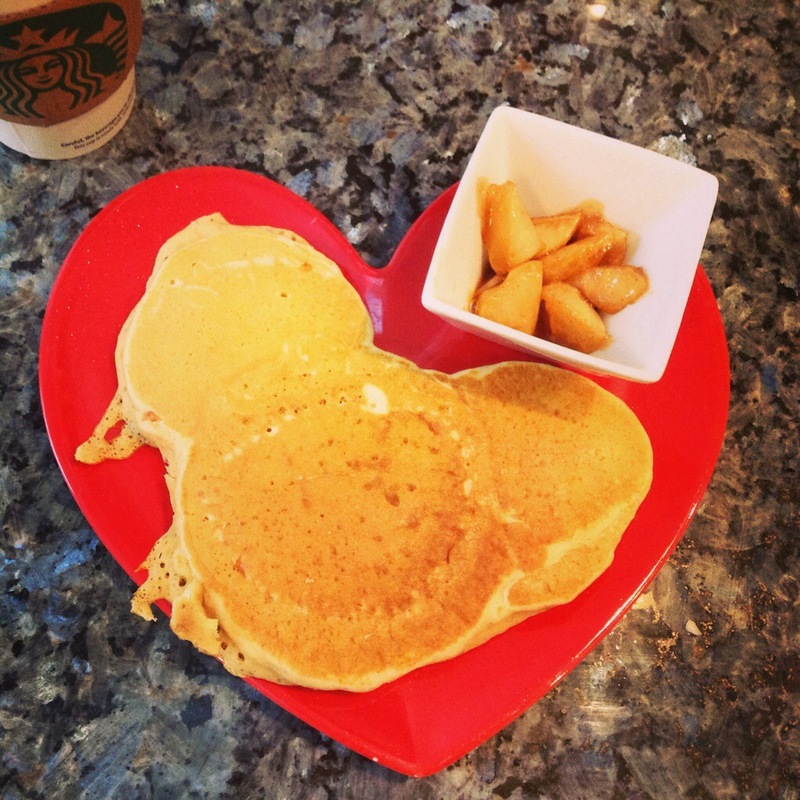 😉 (we made valentine pancakes, but my heart kept turning into Mickey heads…so I just made Disney shapes! )…this is also a child sized plate! Add in the flour with the baking powder, baking soda, sugar and salt. In another bowl, lightly whisk the eggs then add the milk. Whisk in the canola oil. Quickly stir in the flour mix and add in the vanilla. Do not overwork the batter. 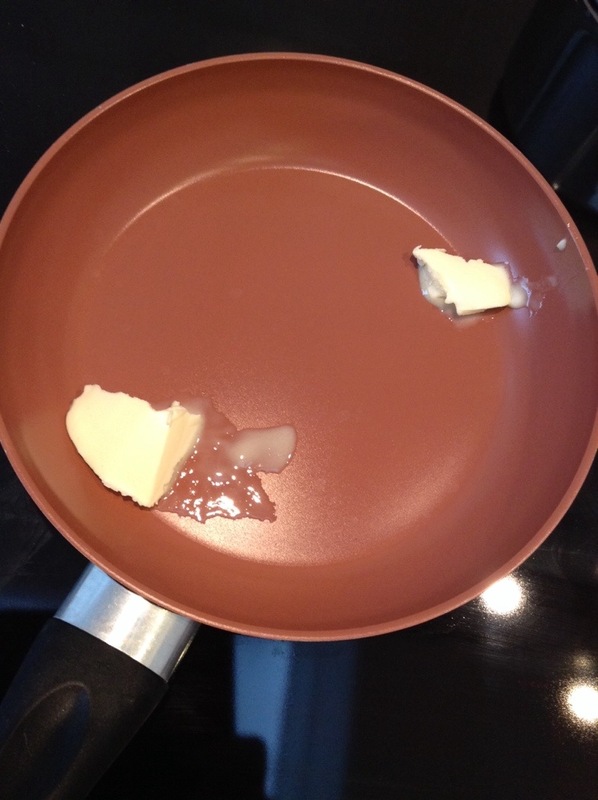 Heat a griddle or a large skillet, over medium-high heat. 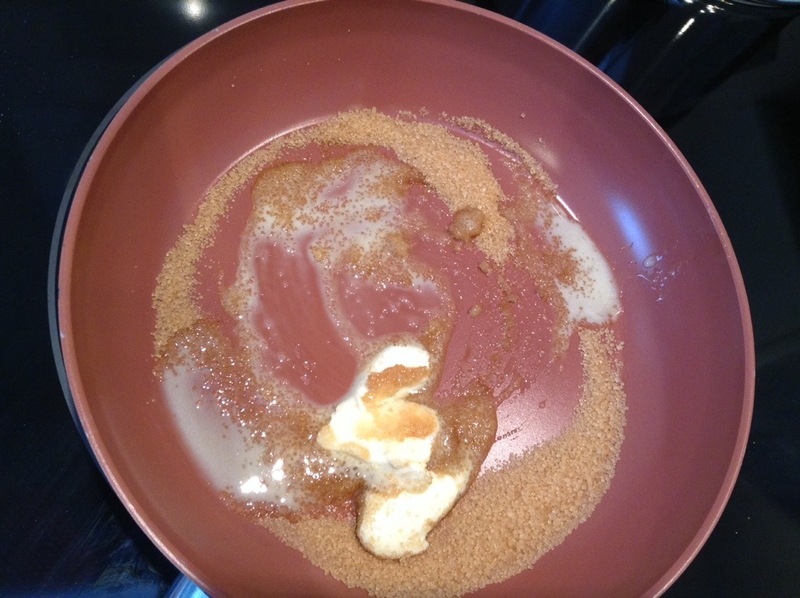 Use a 1/4 cup measuring cup to pour out the batter onto the pan. When bubbles start to break through at the top, flip and cook until they are brown on the other side.